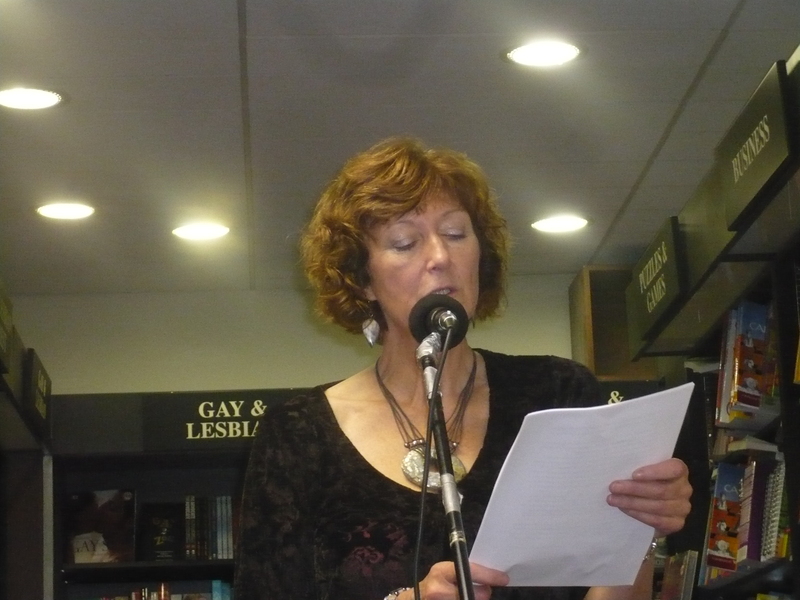 This Chapters reading organised by Seven Towers (www.seventowers.ie) featured two writers, Anne Morgan and Eileen Keane, both regular contributors to the 7T monthly Open Mic (currently at Chaplins Bar, Hawkins St., and next one on Wed 28th July) and whose work has appeared in the 7T Census Anthology. Anne read a number of poems, some from a personal perspective, like her ‘In Bloom’ which deals with the mother-daughter relationship, to more outward-looking poems like ‘Schools Out’ which portrays her experience of working in a shool for the disadvantaged (this poem appealed to me because I myself dealt with disadvantaged students in the course of my yeaching career). I can’t remember if Anne produced Haiku before, but on this occasion she read out a number of very accomplished pieces. Here’s one: ‘Yellow rose / stands alone / waiting to be taken’. I also liked her poems drawn from paintings like ‘The Goose Girl’. The fact that so much can be drawn out of works like this shows what great works they are. Eileen Keane read her story ‘Snapshots’ (a bit truncated due to time) which I heard before somewhere and which is is really good. The psychology is deep, the charcters credible and the setting (a rather isolated area in the USA: ‘no one seems to call…’) very well drawn. It’s basically the story of a young wife’s trouble with fitting in with the in-laws. The tension created by this pervades the story and I better not say anymore. Except it’s really well-done, the whole thing. All in all it was a privilege for me to MC for such talent. The next Chapter’s reading will be at 6.30pm (pm!… as if…) on Thursday 15th, on the theme of animals. Be there! Previous Post: 7 Towers Open Mic at Chaplins (Hawkins Street, Dublin) Wednesday 30 June.